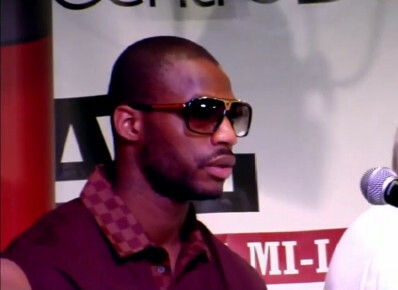 By Dan Ambrose: Former WBC light heavyweight champion Chad Dawson and his promoter Gary Shaw are ready to start negotiations with 46-year-old Bernard Hopkins for a rematch to clear up the controversy that surrounds their fight last October which ended with Hopkins falling on the canvas after falling over Dawson’s back after a missed punch. Hopkins lost that fight by a 2nd round TKO, but got the results overturned after appealing to both the World Boxing Council and the California State Athletic Commission. The WBC then ordered that Hopkins has to give Dawson an immediate rematch. However, now Hopkins isn’t too keen on fighting Dawson again unless there’s a lot of money there, and there probably won’t be. Hopkins instead wants to fight unification bouts against arguably weaker targets of WBO light heavyweight champion Nathan Cleverly and WBA champ Beibut Shumenov and then perhaps a fight against IBF super middleweight champion Lucian Bute if he’s still the IBF champion by the end of 2012 or early 2013. That sounds like there might be some kind of deal made for Dawson to step aside and let Hopkins go on about his business to face the other two champions. Hopkins says he’s not interested in facing Cloud, the IBF champion, because he doesn’t see the money being big enough for him to take that fight. That’s odd because I can’t see the difference between Cloud and Shumenov in the United States. Neither of them have yet to establish a huge fan base in America yet. But I do think Cloud is the more dangerous fighter compared to Shumenov, so I can see why Hopkins might not see Cloud as an interesting fight. The Cleverly fight is definitely a winnable fight for Hopkins and one where he can make some money if he agrees to fight Cleverly in Wales. I don’t know that Hopkins can win a decision over there, but I’m sure there will be an appeal if he loses and enough noise made about his loss that a lot of fans will have doubts about it. It would be disappointing to see Dawson lose out on his chance at a rematch with Hopkins but I think Shaw wants to keep a good business relationship with Golden Boy Promotions, the promoters for Hopkins. If Shaw tries to force the issue, he could burn his bridges in the process. It might be better off for Shaw to have Dawson step aside and let the soon to be 47-year-old Hopkins try to finish off what remains of his career on a winning note instead of an almost guaranteed loss against Dawson. It would be Dawson and Shaw showing some sympathy for an old veteran on the last legs of his career.